Thanks for your interest in Griddle Master. As you all probably know, UPS has raised their prices and so has the US Post Office. Griddle Master has had to change the Free Shipping for orders subtotal over $200.00. We are now giving a $20.00 discount for all order sub-total over $200.00. 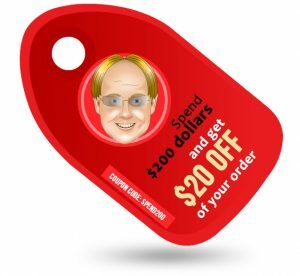 Simply add the coupon code of ” spend200 ” and receive the $20.00 discount. Just remember your sub-total must be more than or equal to $200.00. Thank you for your interest and know that you will love your product from Griddle Master.